LOS ANGELES (KABC) -- The ASPCA said Oct. 28 is National Pit Bull Awareness Day. The day is meant to educate people who may be wary of the breed. The organization said many people have preconceived notions about the dog and they're often seen as violent and dangerous. 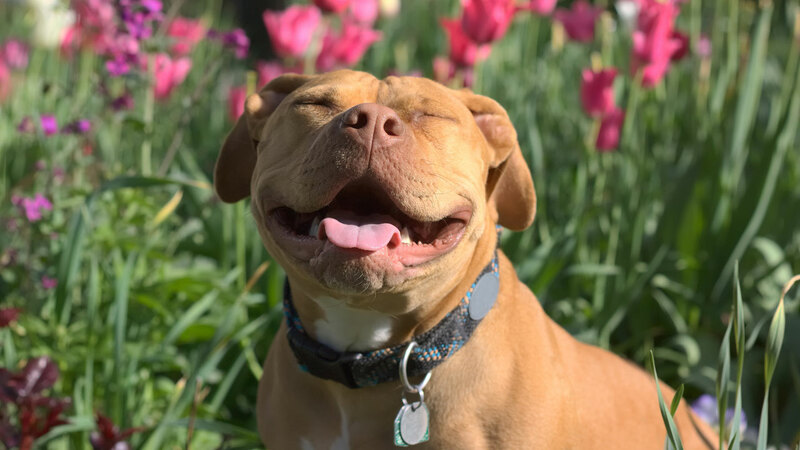 While the dog's ancestors were historically bred for fighting other dogs and animals, the organization said, modern pit bulls can be friendly and often hard working. The ASPCA said pit bulls are sweet and well-behaved, but many are left in shelters all over the country. Those dogs are looking for someone to give them a second chance and provide them with a loving home. One example of a happy pit bull story is that of Juice, who was found last Christmas Eve tied to a pole in a construction site. He was left to die. New York police brought Juice to the ASPCA, where he was treated for bite marks and infections. After recovering from his injuries, Juice was adopted by a college student and his family from Queens, New York. They said Juice is happy, loving and kind. The ASPCA wants people who go out to adopt pit bulls to learn the facts about each dog they see at a shelter and ask questions of the staffers who know the animal and its behavior best.